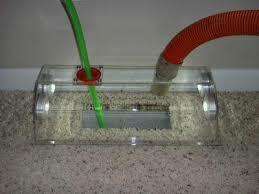 Silver Duct Cleaning specialises in cleaning Ducted Heating Systems. Other services include Deep Cleaning of Split System Air Conditioners and Evaporative Coolers. and Cooling Systems. Over time Ducted heating systems become clogged with Pollutants especially Dust Mites. Dust Mites and their waste products are the biggest cause of allergy symptoms in the population today.By cleaning and sanitizing all the dust and rubbish from your Ducts, allergy symptoms can be greatly reduced not to mention general buildup of Dust inside your home. ALL CLEANING WORK PERFORMED BY OWNER/OPERATOR ALAN. UNLIKE MOST OF OUR COMPETITORS WHO WILL SEND OUT AN UNDERTRAINED SUB CONTRACTOR. 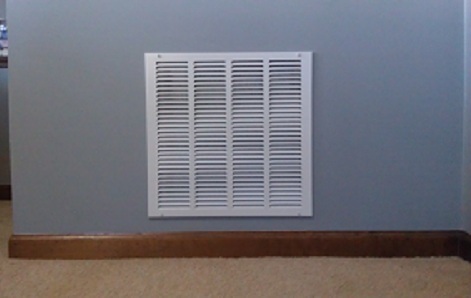 Your heating unit draws air through return air grill. It also picks up dust and other pollutants. The dust accumulates inside the return air duct & collects inside heating units fan & motor. The result of never doing ducted heating cleaning. 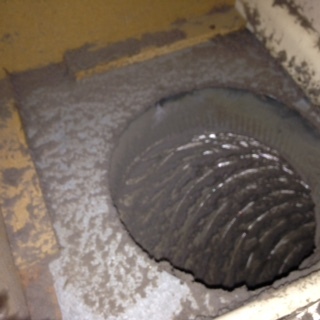 30 years of dust entering return air duct and accumulating in heaters fan and motor. Is your heater in this condition? as the first priority. If this hasnt been done the system wont be fully cleaned. Only after this is completed we clean inside individual Duct outlets.We then sanitize the system with a Tea Tree Oil product. We also perform a FREE CARBON MONOXIDE TEST of the System. Your Air Conditioner can harbor Dirt, Fungi and Mould spores.They need a deep clean from time to time to improve efficient running and air quality. only $105 * Additional Charge to clean outside unit. Cooling Cleaning Your evaporative cooler needs cleaning on a regular basis. The inside of your cooler gets fouled with, dust,algae, leaves, sediment and slime. We clean filter pads, fan blades, pump and filter, interior surfaces and exterior surfaces from only $155* Additional charge to clean cooling ducts. Please note we do not do service Cooling units or repair them. We provide cleaning of Cooling unit only. for ﻿HUGE!! ﻿Discount off normal prices.